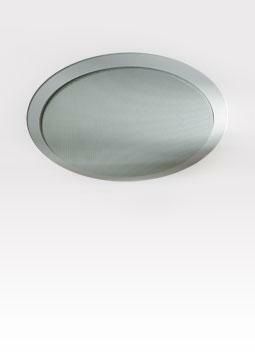 Taking on the challenge to create an unassuming high quality in-ceiling speaker, Krix presents the Atmospherix. Based on the Equinox, the Atmospherix uses the same 130mm bass driver matched with a 25mm pivot tweeter housed in an enclosure for in-ceiling installation. The enclosed design maximises and controls bass response while keeping out dust and other ceiling inhabitants. Atmospherix are ideal for an out of sight home theatre experience. "With 7.1 channel systems now standard issue, a pair as centre rears positioned above and behind the couch would be perfect. Rear effects carry plenty of bass weight and substance in modern movie mixes, so if you fancy an in-ceiling design, it has to be able to reproduce the low stuff, which is something the Atmospherix do with ease."